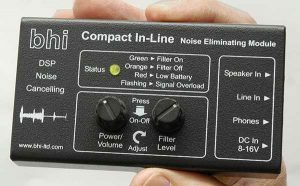 Multi-task your audio with this stereo/dual channel noise cancelling unit! 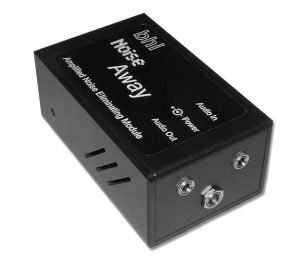 The bhi Dual In-Line DSP noise eliminating module provides mono/stereo noise cancellation, and is suitable for use on all radios and receivers including SDR, especially those with stereo or two channel output options. 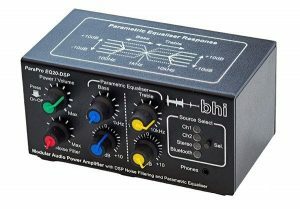 It can be used with a mono speaker level input signal or a stereo line level input. There are three output sockets, a 7 Watt mono 3.5mm speaker output, 3.5mm stereo line level output and a 3.5mm stereo headphone socket. 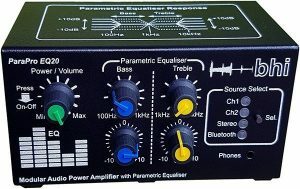 Note: The 7 Watt mono amplifier only powers up when a 3.5mm mono plug lead is actually connected to the “Audio Out” socket. If you connect a stereo plug into the “Audio Out” socket there will be no audio! 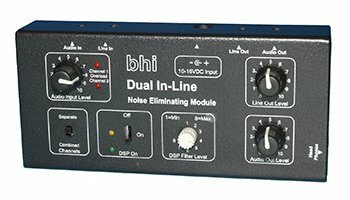 The bhi Dual In-Line module incorporates the latest bhi dual channel/stereo DSP noise cancelling technology, which has an improved noise cancelling algorithm that brings even better quality audio to the listener when operating in very noisy conditions. The processed speech is clearer and more intelligible as a result and makes your listening experience so much better. 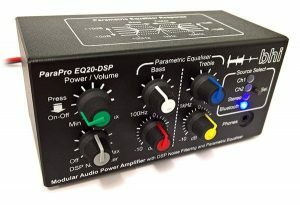 The module caters for both high and medium level mono and stereo audio input signals, and has stereo line out, stereo headphone and mono speaker output sockets. You can listen with headphones and a mono speaker at the same time, and you can also connect a pair of stereo computer speakers to the line output socket allowing you to monitor two separate channels at the same time. This feature is ideal for DXing, club stations, training, special event stations and field day events.